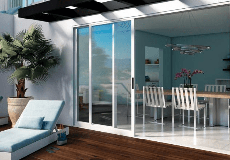 French patio doors that open in, maintaining the usable space outside your home. 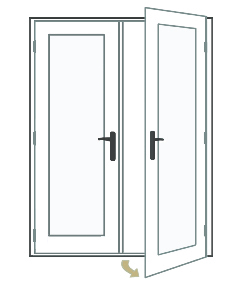 Explore Milgard In-Swing French doors by product line or frame material below. The durability of a fiberglass exterior and the beauty of a wood interior. A beautiful French door crafted with our own vinyl formula. Ultra™ Series fiberglass patio doors are beautiful and built to last. Looking for more light, increased space or a beautiful home accent? It's time to get inspired.